ESPN with their K-Zone and Roger with his Mustache. The both have served as our pastime. They have captured American history in their own ways. They have kept us at the edge of our seats with drama unlike any other. They are also both HEAVILY sponsored. 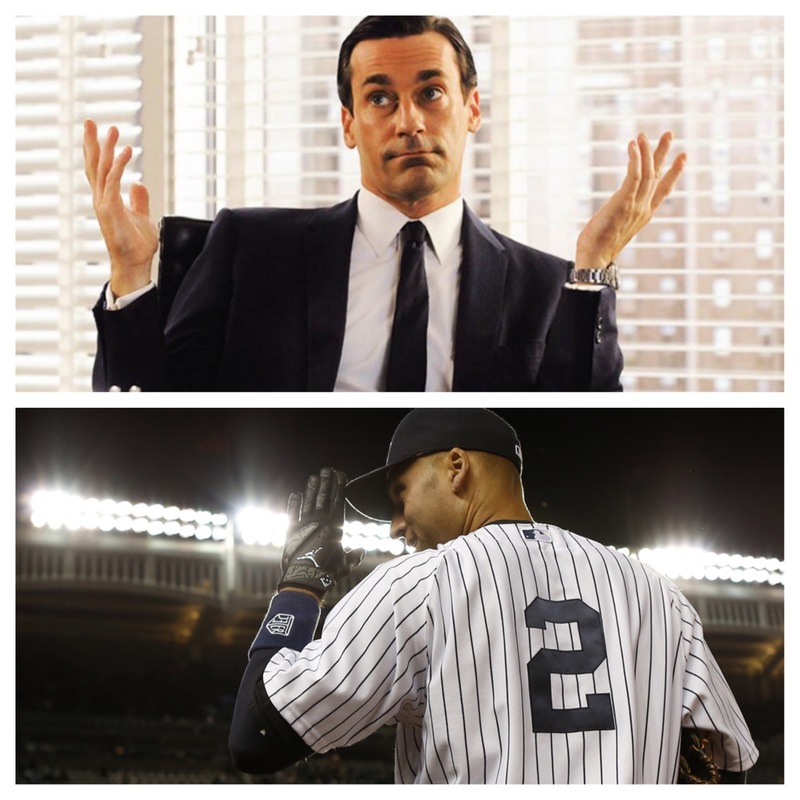 As we say “goodbye” to one and “hello” to the other, let’s compare further and identify the true “Mad Men” of MLB. 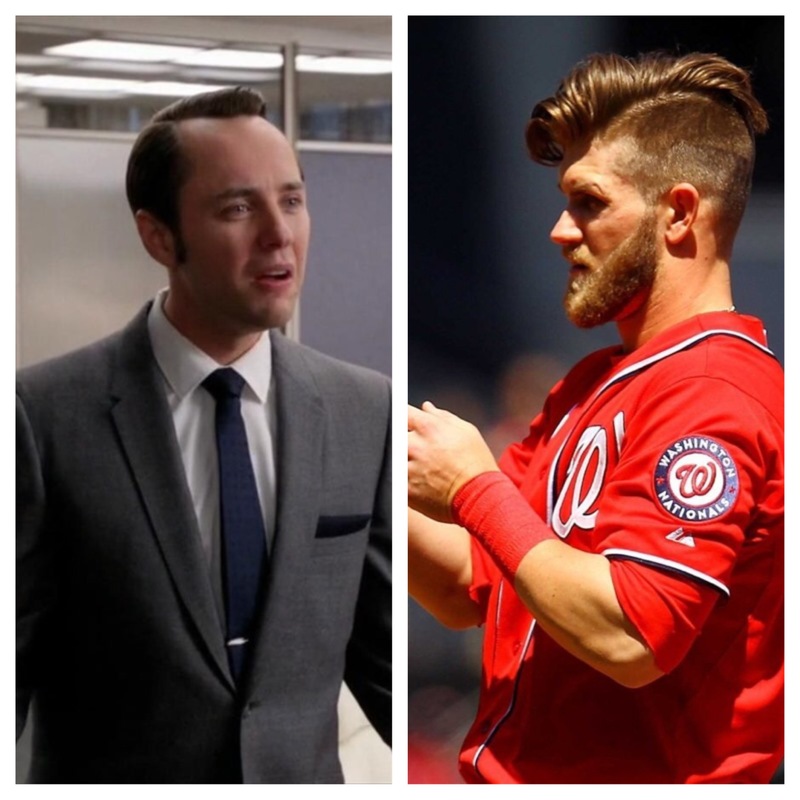 Pete Campbell and Bryce Harper of the Washington Nationals ascended to stardom very quickly in their own way. Harper has an NL Rookie of the Year and a couple of All-Star games to his name while Pete has “Partner” as a title and Clearasil. While both are very successful, they’re also polarizing and even hated by fans. Although they may rub people the wrong way, you will rarely see them with their heads down due to a wealth of confidence…unless Pete’s in trouble. 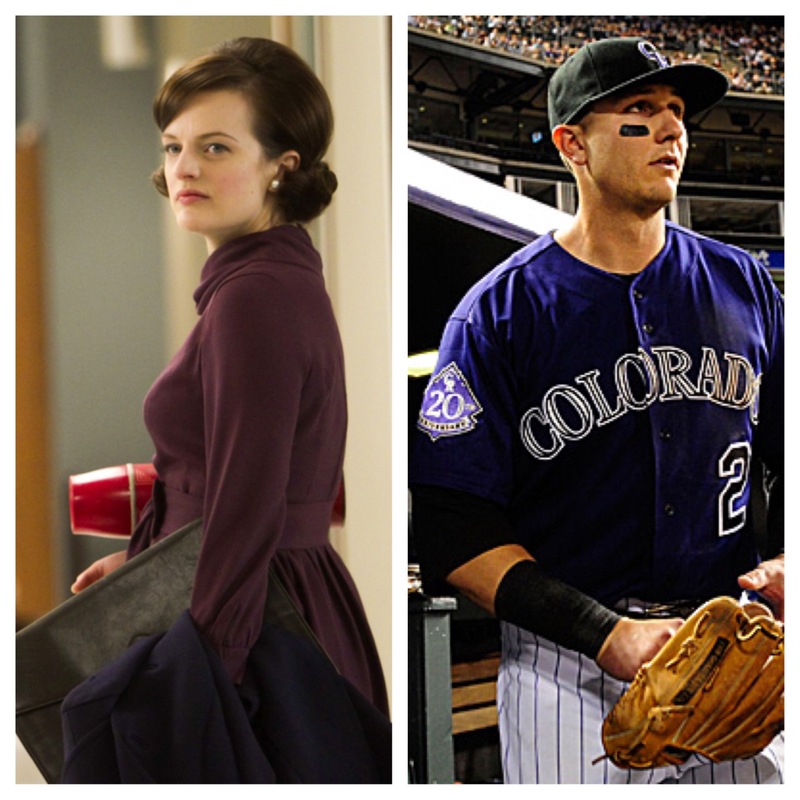 Peggy Olson was Don’s protege and Troy Tulowitzki has taken the reigns as the best shortstop in the league post-Jeter. The time is now for both of them. 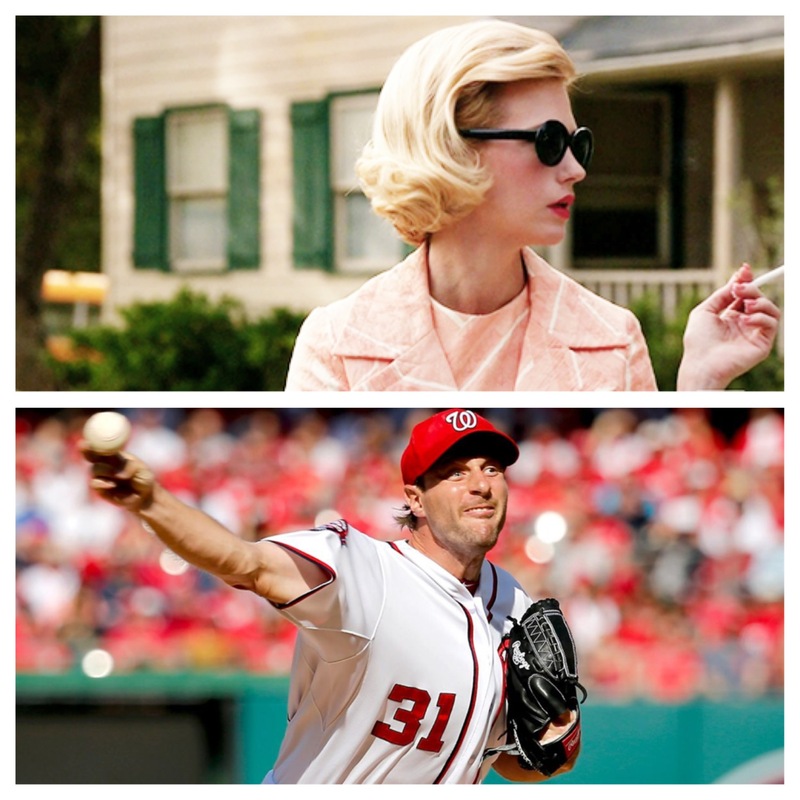 Tulowitzki has been held back by injuries while Peggy was held back by sexism in her industry. And as they show off their talents, they have become hot commodities to other teams as well. 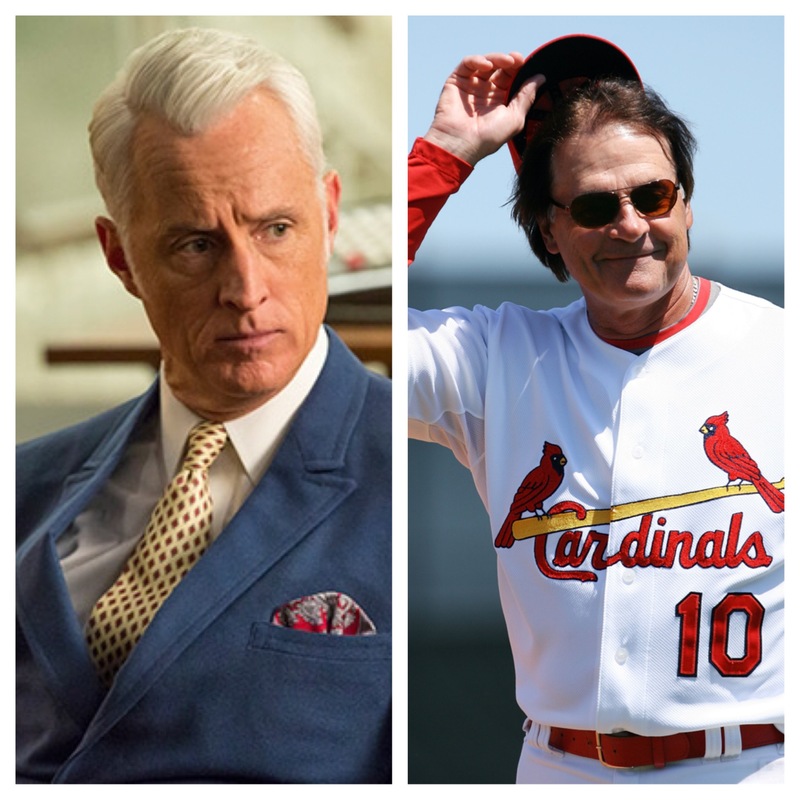 I attended Tony La Russa’s Hall of Fame induction ceremony last summer, and listening to him talk about his days as both a player and a manager reminded me of the war stories Roger Sterling tells to his clients. Neither one can stay away from the game as Roger continues to sell whatever he can while La Russa just recently took a job as chief baseball officer for the Diamondbacks. Neither one minds a midday cocktail either. 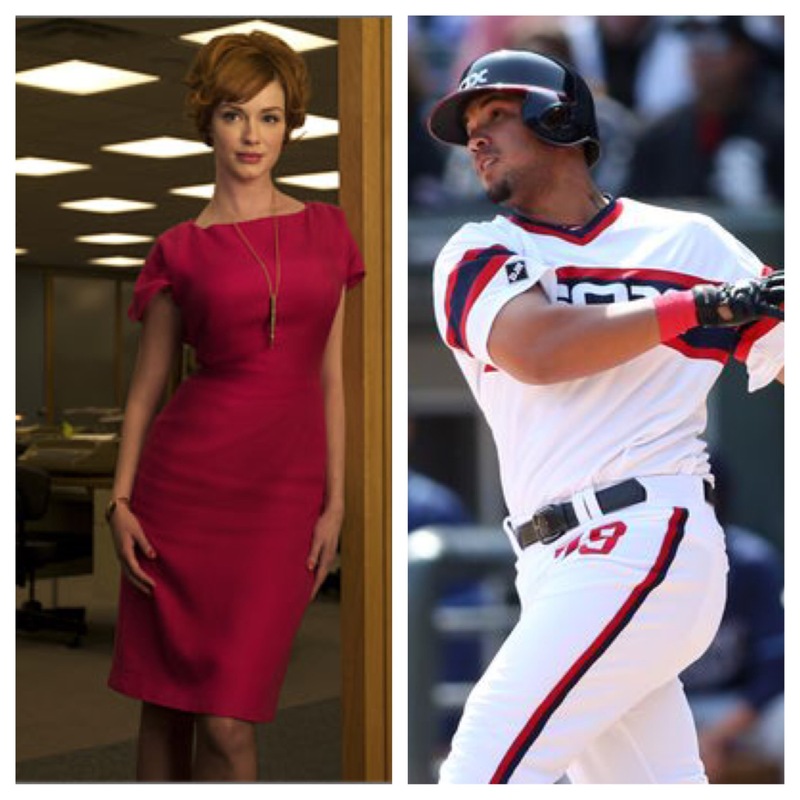 On the outside, Jose Abreu is a 6’2, 260 pound Cuban baseball Jedi and Joan is a redhead with curves like a Formula One track. These two have a lot more in common than you’d think…They both joined the majors late in their careers but made an instant impact when they got there. 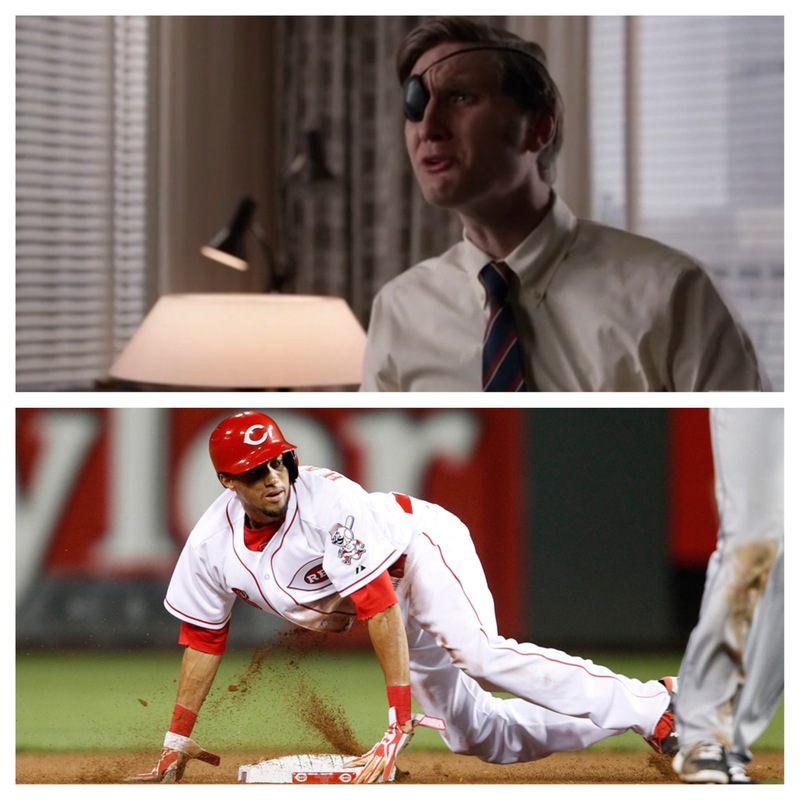 Joan spent years in the secretary ranks and jumped to partner while Abreu went from playing for the Cuban national team for years to MLB All-Star and unanimous AL Rookie of the Year. They also have the savviness and experience to adjust on the fly and last for a long time to come. 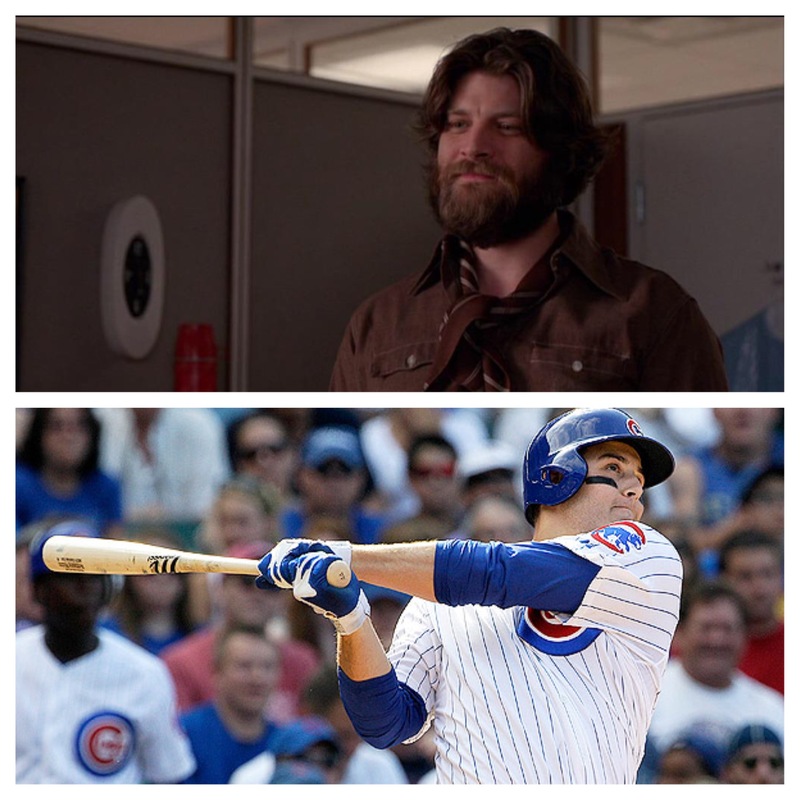 I think we all have our favorite characters from TV shows that are no more than supporting to the story, and won’t even appear in some episodes. Ken Cosgrove is exactly one of those characters for me because he is the “Mr. Hustle” for the Sterling Cooper agency. The same can be said about Billy Hamilton of Cincinnati, whose 56 stolen bases in his first full season ranked him 2nd in the majors. Hamilton’s OBP isn’t the best for a leadoff man (.290), neither is Cosgrove’s, but he makes the opponent pay when he gets his chances. Out with the Betty, in with the new…Megan Draper, I mean. Megan was Don’s MVS (most valuable secretary), so much so that he put a ring on it. Megan also took advantage of the opportunity quickly, much like Mike Trout when he hit the big leagues. 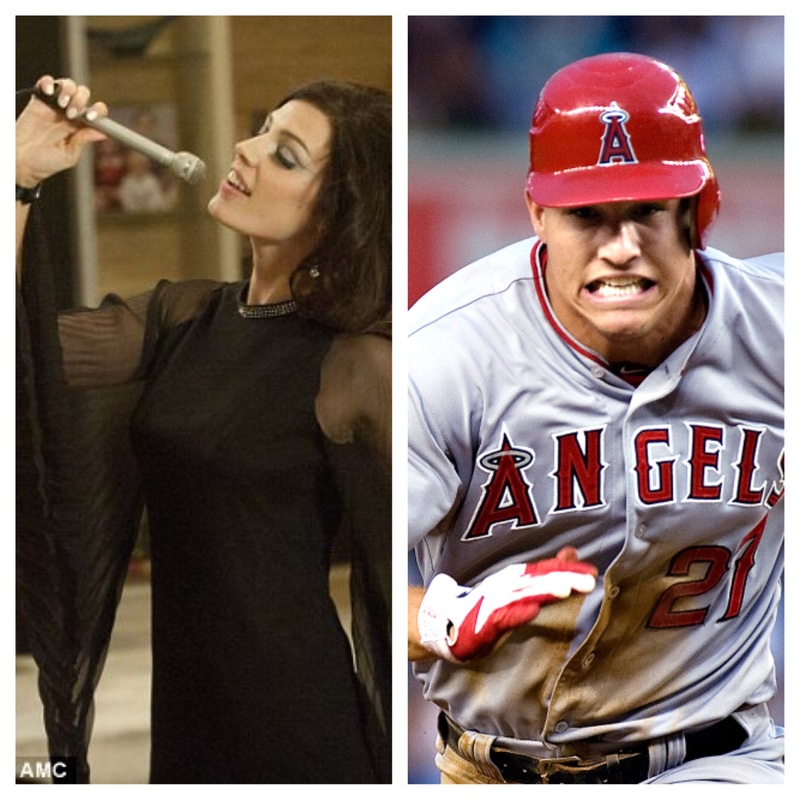 Both were under-appreciated at first, as Trout was working for an MVP nod and Megan continuously auditioned for TV roles. Both got what they wanted and both are California dreaming. Besides the obvious (last name), both actually have a lot in common. Both Stan and Anthony had rough starts to their careers. Anthony only hit .141 in his first Major League stint with the Padres, and Stan was a sexist jerk…Both have improved immensely and serve as glue guys for their respective teams. Stan grew a beard, found recreational drugs, became best buds with Peggy and is no longer a jerk. Anthony has become an All-Star and isn’t afraid to mix it up with opponents to defend his teammates. Yep, glue guys. Agree? Disagree? Have some more Player/Character comparisons? Let me know on Twitter @Mike_PiFF03.